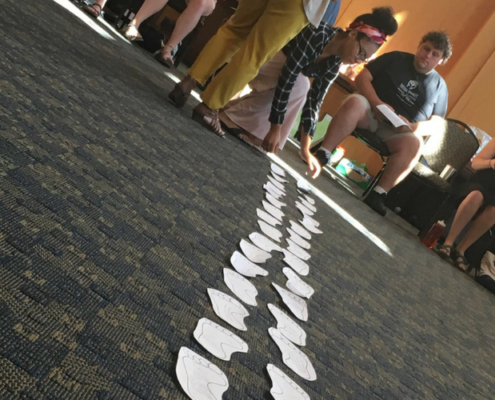 During the last week of July, 42 students from 15 Catholic universities, including 14 Jesuit universities, gathered on the campus of John Carroll University in University Heights, Ohio for the annual Ignatian Justice Summit. 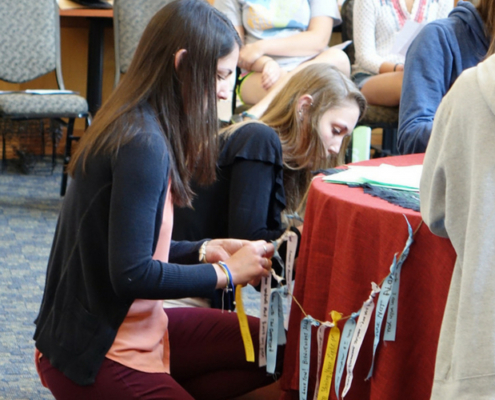 This year’s Summit focused on the pertinent issue of immigration, specifically within an Ignatian context. 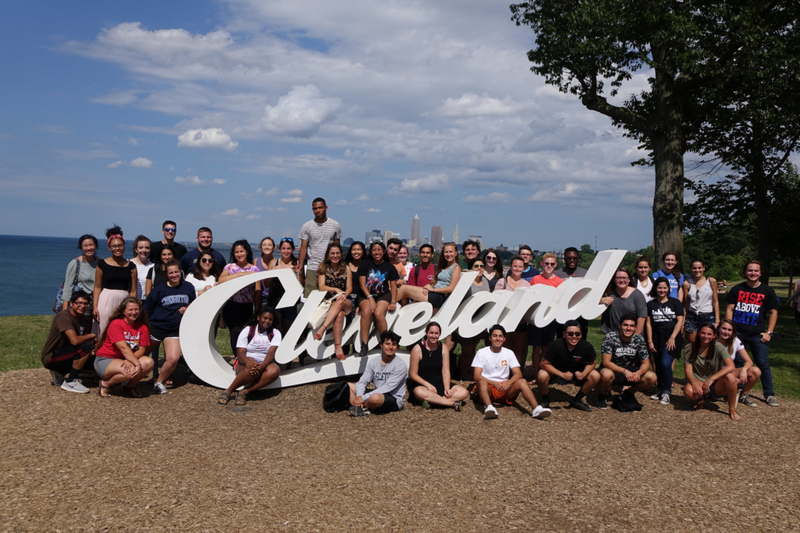 Participants included current undergraduate students from Boston College, Creighton University, Gannon University, John Carroll University, Le Moyne College, Loyola Marymount University, Loyola University Maryland, Rockhurst University, Saint Joseph’s University, Saint Louis University, Saint Peter’s University, Santa Clara University, University of Detroit Mercy, and University of San Francisco. 2018 Ignatian Justice Summit participants. Jimmy Menkhaus, Ph.D., a professor of theology at Gannon University and a graduate of John Carroll University, kicked off the Summit by speaking about St. Ignatius of Loyola and Fr. 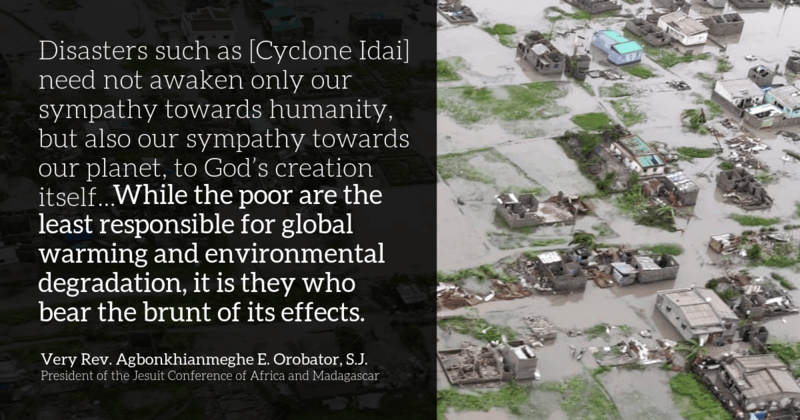 Pedro Arrupe, S.J., and what lessons these major figures in the history of the Jesuits can teach those working for justice today. Menkhaus emphasized the importance of relying on one’s heart when working for social justice, along with one’s mind. Another piece of wisdom that stuck with several students is manifested in this quotation: “You are not everyone, so you can not do everything. But, you are someone, so you can do something.” This speaks to the necessity in justice work to focus more time, energy, and gifts on fewer injustices, rather than to risk “burnout” by trying to spread oneself too thin. Emily Witt, a senior at Xavier University, reflected on Menkhaus’ words in relation to her area of study and future career in social work. Witt said that participating in the Summit allowed her to realize that she is “not necessarily called to policy work, but it’s still important for [her] to be knowledgeable about it, especially about the policies that are going to be impacting the individuals who [she] work[s] with” throughout her future as a social worker. Hearing Menkhaus’ talk was a reminder to Witt that she can’t do everything within the realm of justice work, but she can work with the gifts and training that she has. 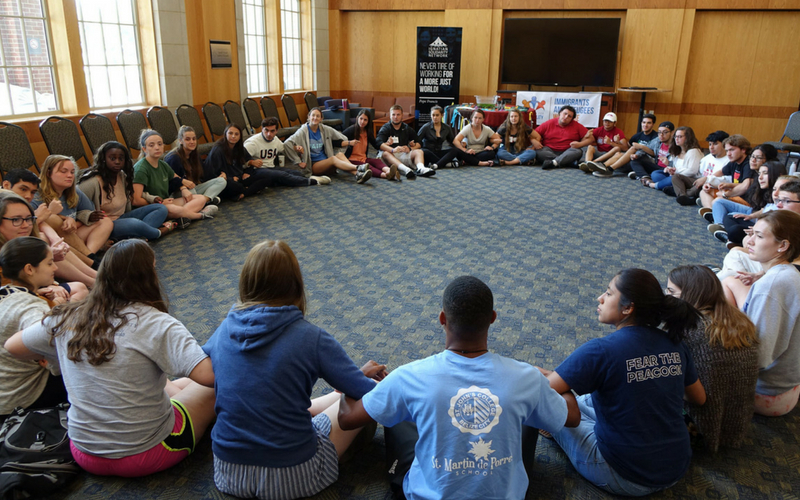 Miriam Uribe, José Cabrera, and Pedro Guerrero—all alumni of Jesuit universities and the Ignatian Justice Summit—speak to students at the Ignatian Justice Summit. 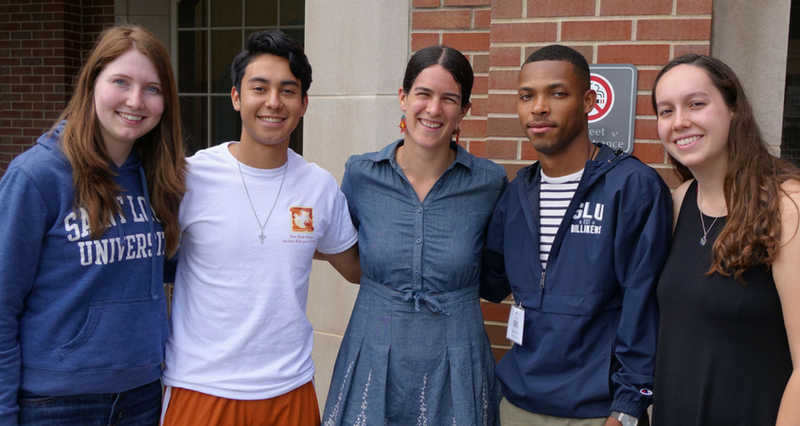 A panel of alumni of Jesuit universities and of the Ignatian Justice Summit itself included Pedro Guerrero, a graduate of De Smet Jesuit High and Loyola University Chicago, Miriam Uribe, a graduate of the University of San Francisco, and José Cabrera, a graduate of Xavier University. 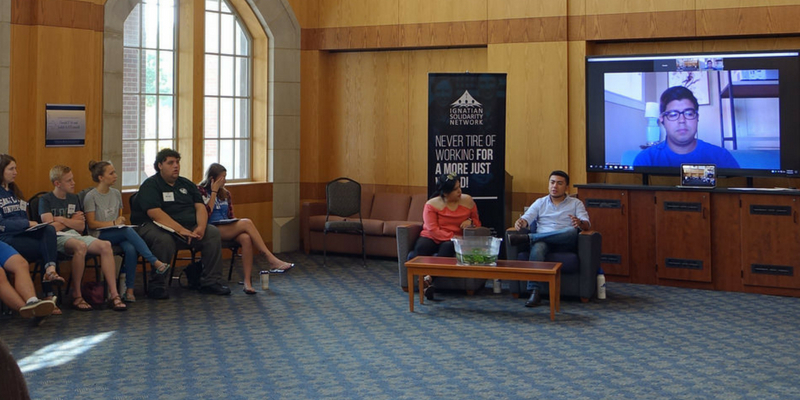 All three panelists shared their experiences as undocumented, DACA-mented, and/or green-card-holding students at Jesuit universities, and how they struggled with their respective universities’ administrations to extend protections and offer scholarships and other on-campus support beyond financial aid for undocumented students. 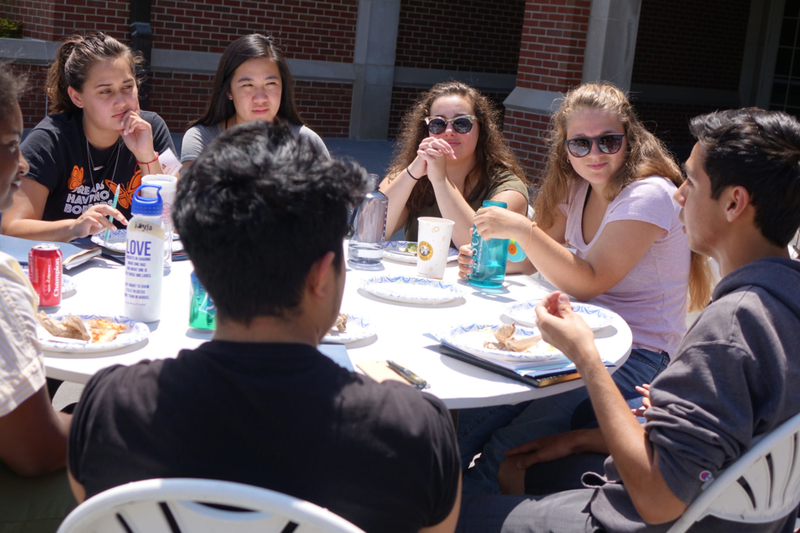 A common thread that permeated the panel was the importance of being persistent when fighting for the rights of a marginalized group on campus. 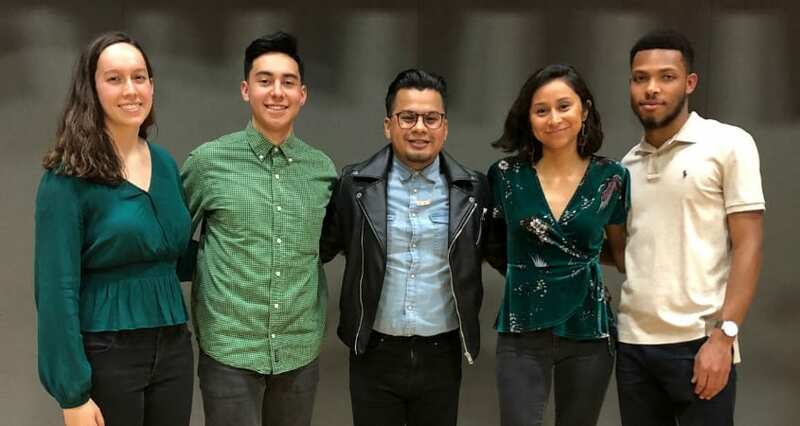 Uribe and Cabrera remained at the Summit to speak first-hand about DACA and the Dream Act during policy briefing sessions, and Uribe provided a presentation on how to organize around a specific issue on campus or in a community. University of San Francisco students discuss advocacy plans for their campus. 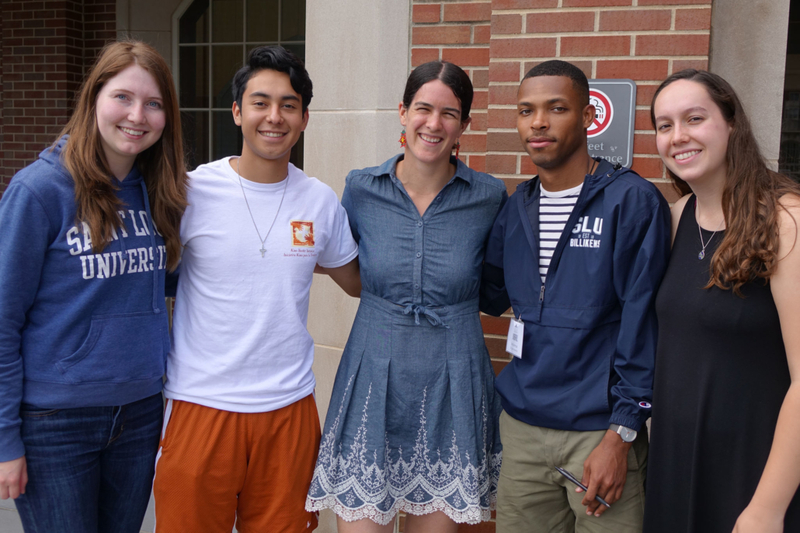 Joanna Williams (center), director of education and advocacy at the Kino Border Initiative, with Saint Louis University Ignatian Justice Summit participants. 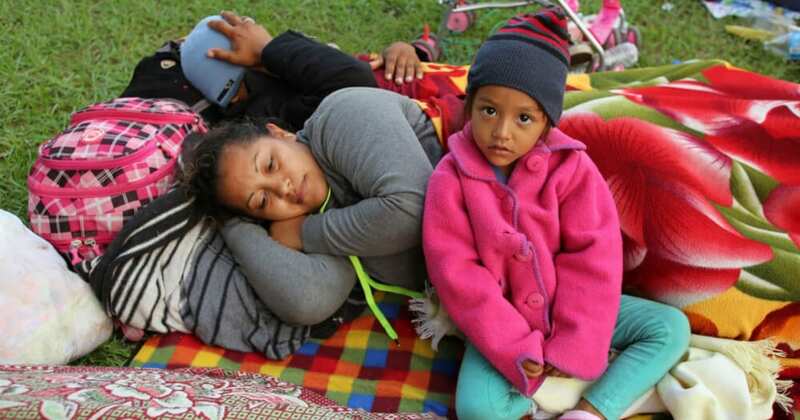 Joanna Williams, director of education and advocacy at the Kino Border Initiative on the U.S.-Mexico border, and a graduate of Georgetown University, also shared her wisdom with IJS participants by sharing personal stories and struggles of migrants through the lens of the spiritual exercises of St. Ignatius of Loyola. 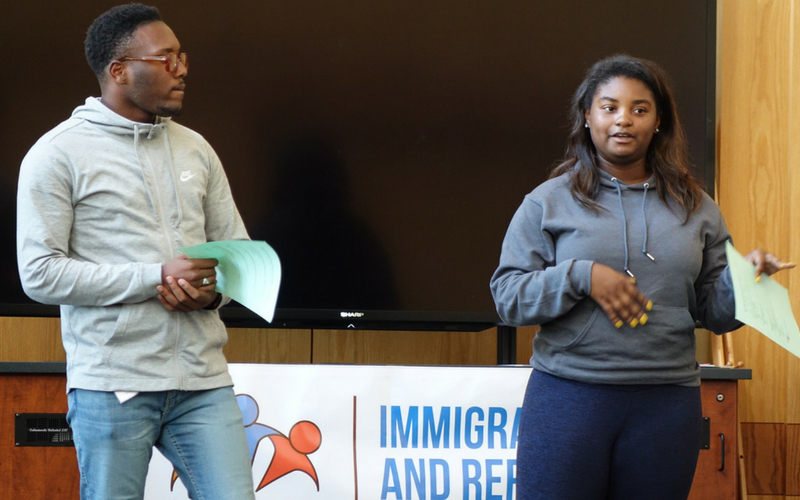 Williams, together with Christopher Kerr, executive director for ISN, shared her extensive knowledge of U.S. immigration policy during the Summit’s policy briefing sessions. 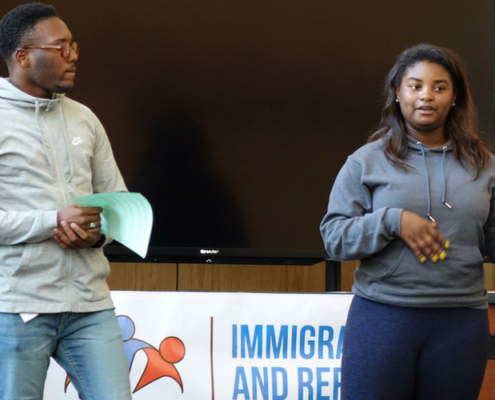 Williams additionally led an advocacy training to equip students to fight for immigration justice on their campuses and beyond. 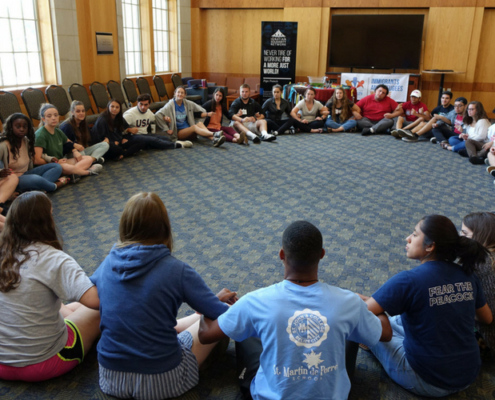 Students compare justice initiatives on their campuses. 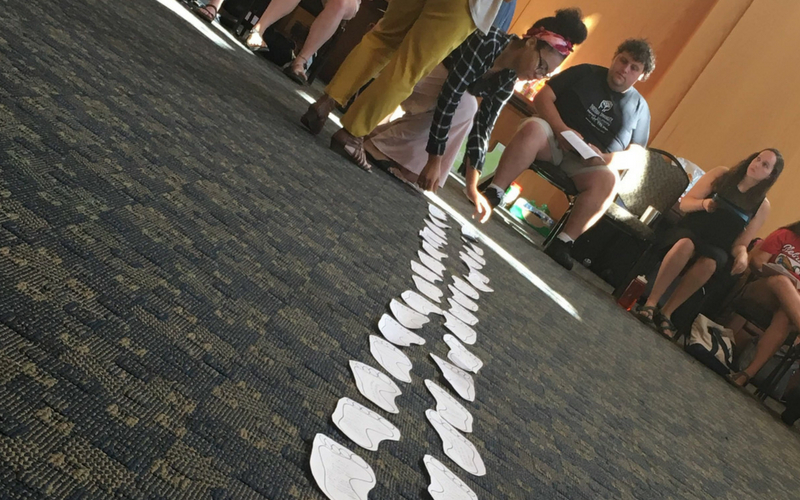 The Summit culminated with each university group presenting action plans for the upcoming school year in a commitment to advocate for and support immigrant, undocumented, and DACA-mented students on their campuses and those in the surrounding communities that are affected by our immigration system. 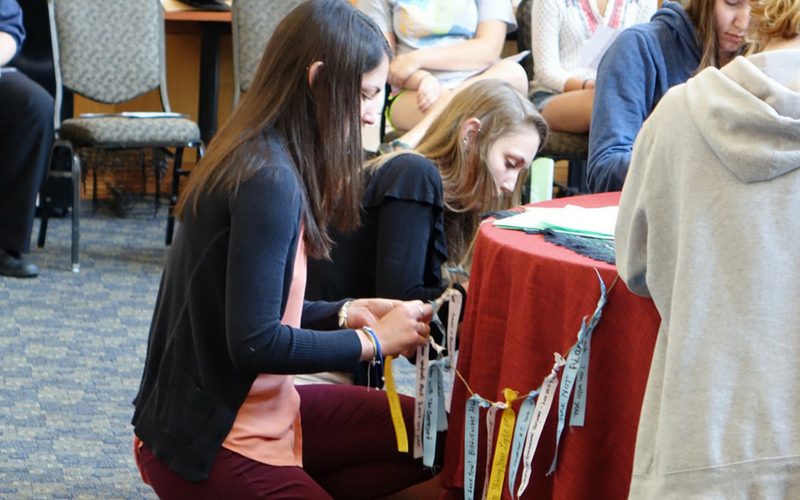 The energy and passion for faith and justice shown by the students present during the Summit was palpable and was a testament to how strong the Ignatian network is when it comes together from different places with common goals. Fr. 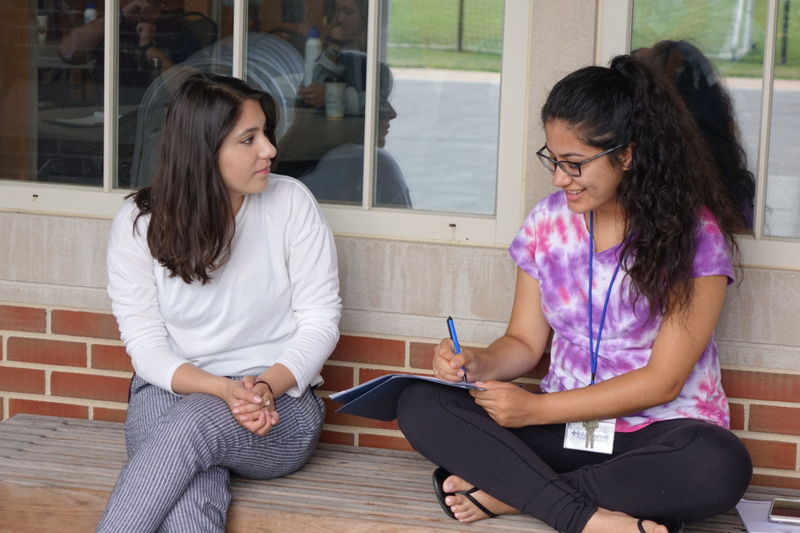 Pedro Arrupe continues to inspire the young and the young at heart. How can you sign up for this next year?